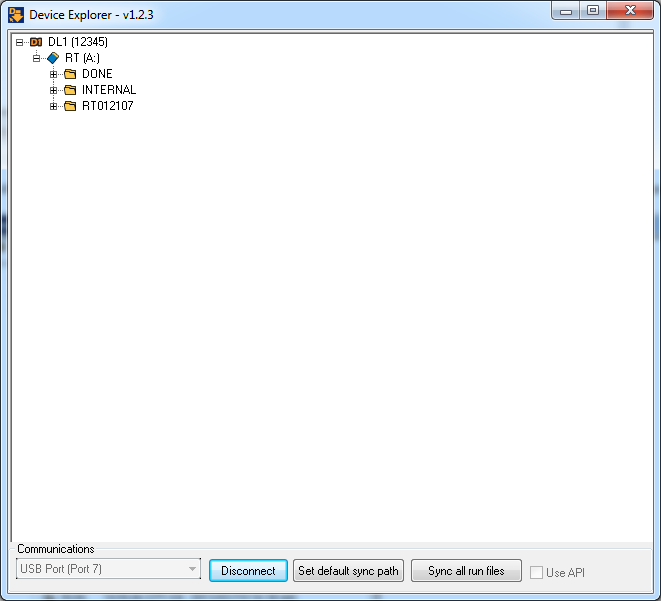 The Device Explorer software is designed to enable uploading and downloading of files between a DL1 CLUB / PRO / WP or DASH2 PRO and a PC, via the USB connection. The software can be started either from the start menu or from within the File menu of the DASH2 PRO and DL1 CLUB software. Select the correct port for connection and click on 'Connect'. Note: If you want to connect using the Windows API instead of FTDI drivers, select "Use API" check box. If a device is found it will appear in the window. (In this case DL1 serial number is 12345). For each file you will see the name, then file size in KB and date and time of creation. You can copy individual files across device explorer and local computer by using drag and drop method. 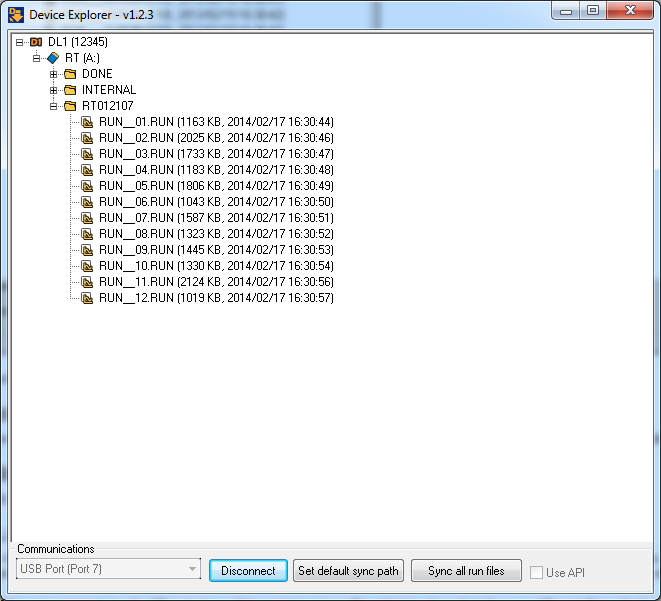 When clicked the Device Explorer will compare the contents of the default path on the local computer with the remote drive, any new files which are not present locally, or are different in size to the local copy will be updated. 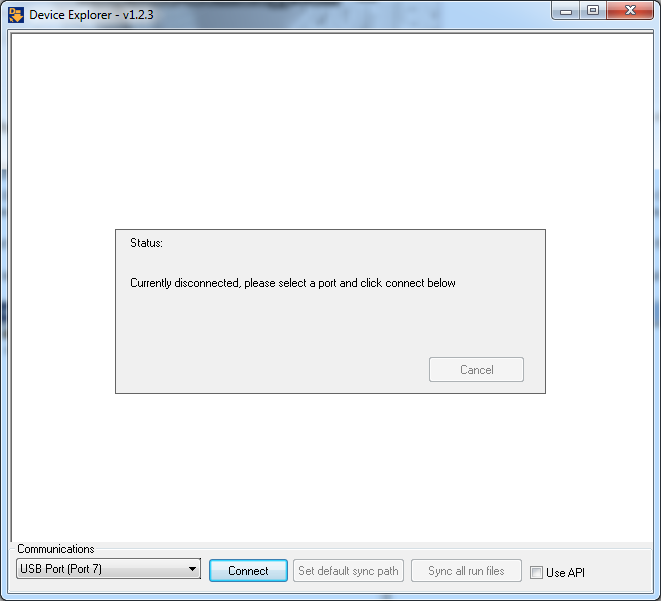 This will only copy files from the remote device, it will not copy files to the remote device. Files of the same name but with different sizes will be copied and a suffix added to show that they are different files with the same name. To reformat the remote drive, right click on the drive and select format, the entire contents of the internal drive will be cleared. 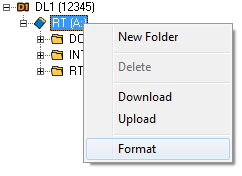 To delete a file or directory, right click on it and select 'Delete' from the menu.